Never, ever, EVER under estimate the importance of sunblock. Even if you are travelling to a place that is cold and snowy and no chance of “sun”, those pesky UV rays can cause havoc to your skin. Prolonged exposure can cause a multitude of skin problems including redness, burning, and discoloration. 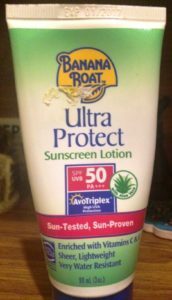 I always use Aleo Vera Banana Boat Lotion that is SPF 50. It’s not sticky or too heavy and I find it okay to use on the body AND face. ( It might be because my skin is quite dry, but its lightweight consistency would suit normal skin as well. This is another great product which was recommended to me by a skin care expert. Aloe has natural healing properties which can be the perfect thing to apply if you have been exposed to the sun for long periods of time (especially on trips to beaches) Use after washing your face, apply on skin and leave on for about 10 mins and then gently wipe off with a piece of cotton wool which has been soaked in cold water. Road trips, especially the ones taken within Pakistan leave little chance of taking luxurious bathroom breaks, or even frequent showers, as a result it is likely you won’t get to wash your face as often as you like. The best solution to keeping your skin clean is to use always keep Face Cleaning wipes with you. Easy to store and to carry around. I don’t have any preference for any particular brand , you just need to pick what suits you and make sure it does a good job of getting dust and grime off your face. This is also an essential along with Sunblock. I usually mix both when applying this to my skin and then put on extra sunblock when I feel is necessary. 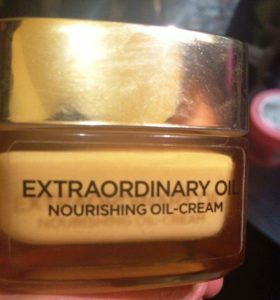 I recently discovered and have adopted Loreal Extraordinary Oil Face cream as my new favorite.It works great in both summers and in winters to keep skin feeling fresh all day. The bottle itself is quite heavy cause it is made of glass- I don’t recommend you carry that around. Just transfer a small amount into any tiny plastic bottle you would have. Eye care is also something which one should not neglect, and with the lack of sleep that usually comes along with road trips a good quality eye cream will help prevent or at least reduce the look of sleepy, tired eyes and dark circles. 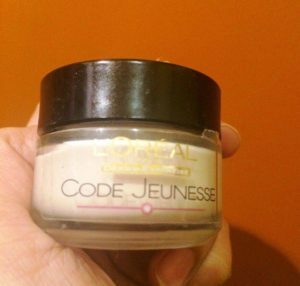 Code Jeunsesse eye cream by Loreal is what I always use. It comes in a small handy bottle so you don’t need to transfer it to something smaller, just dab and massage it around the eyes ( after cleansing your skin) twice a day- and you can happily skip those hours of sleep and still look great in your photos!